Ideally there should be nothing standing between a person praying the Amidah and the wall, so that nothing distracts him from praying. Permanent furniture standing against the wall, such as a cupboard, is not considered to be a partition, and l’chatchilah, one may pray next to it (Shulchan Aruch 90:21; Mishnah Berurah 63:65). Pieces of furniture which were made for praying purposes, like tables and shtenders (lecterns), are not considered partitions (Mishnah Berurah 90:66). There are those who say that people can also be considered partitions. However, this opinion is nothing more than an enhancement of the mitzvah, for it is impossible for all the congregants in the synagogue to pray facing a wall (see Mishnah Berurah 90:69). 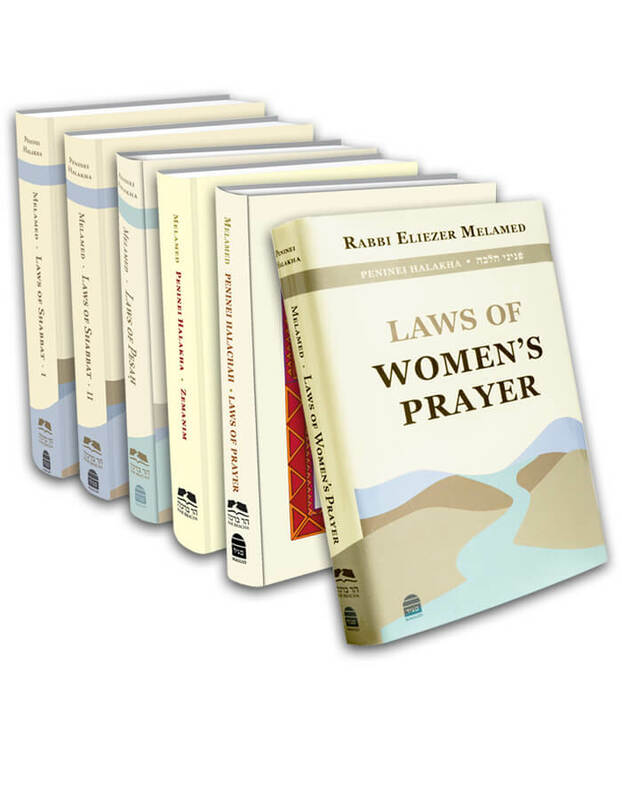 Rav Avraham Yitzhak HaCohen Kook, interpreted this ruling as not to pray behind a person who is not engaged in prayer; however, praying behind one who is engaged in prayer is permitted l’chatchilah (Tov Ra’ayah Berachot 5b). It is not proper to pray in front of artwork lest it be a distraction (Shulchan Aruch 90:23). Therefore, the synagogue wall across from which people pray should not be decorated with artwork. However, if the artwork is above eye level it is permitted, for then there is no concern that people will be distracted by it while praying (Magen Avraham 90:37; Mishnah Berurah 71). It is permissible to decorate the parochet (curtain) and the aron kodesh in the accepted manner, for people are accustomed to the decorations on them and the artwork does not distract them from praying. It is forbidden to pray in front of a mirror, so as not to appear as one who is bowing down to his own image. Therefore, even if a person were to close his eyes, it is still forbidden to pray in front of a mirror (Mishnah Berurah 71). L’chatchilah, one should not pray at night in front of a window in which his image is reflected, since looking at his image will likely disturb his kavanah. However, if he were to close his eyes or look into the siddur, he would be permitted to pray there. Since the window does not reflect his image clearly, he does not appear to be bowing down to his reflection. In any case, it is good to install curtains over the windows facing the people praying, in order to cover the windows before the Ma’ariv service. .The Mishnah Berurah 90:64 writes that even if the object separating the person from the wall is at a distance of four amot from him, it is still considered a partition. However, according to the Pri Megadim and the Magen Giborim, it is not. The Rama 90:20 holds that only something higher than ten tefachim (80 cm; approx. 31.5 in) and wider than four tefachim (30 cm; approx. 11.81 in) can be considered a partition. The Kaf HaChaim writes in the opinion of the Shulchan Aruch that even something smaller than that is a partition. The Mishnah Berurah 68 cites the opinions of the Pri Chadash and Ma’amar Mordechai who also disagree with the Rama. Regarding what the Taz writes, that all furniture connected to prayer are not considered partitions, the Or L’Tzion, part 2, 7:10, writes that this is true only when they are being used for prayer. However, if a person is not using the shtender in front of him, it is indeed considered a partition. Nevertheless, it is customary not to rule this way since shtenders are made to be used in prayer and they are considered permanent furniture, as written in the Mishnah Berurah 90:68.
. The source for not praying in front of a mirror so as not to appear as bowing down to his own image is in the Radbaz 106. Many Acharonim cite it, including the Mishnah Berurah 90:71 and Kaf HaChaim 138. However, Maharsham in Da’at Torah 90:23 is uncertain regarding this prohibition because when praying in front of a mirror, one’s reflection is also bowing down to him, and therefore he is lenient in extenuating circumstances. As for a window in which the reflection of a person’s image is not clear, even according to the Radbaz, there is no prohibition. So writes Or L’Tzion, part 2, 7:11 and this is what we practice as well. See Yalkut Yosef, part 2, pp. 227-229. This entry was posted in 03 - The Place of Prayer. Bookmark the permalink. 03 - In Which Synagogue Is It Preferable to Pray?